Refuse sacks perfect for for any situation. Coming in all sizes we are sure to be able to meet your needs. 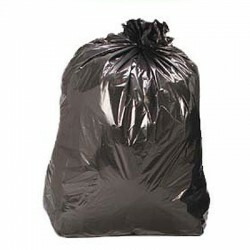 Black Refuse Sacks, 18 x 29 x 39 (200 box)..
Black Refuse Sacks Medium Duty (200 box) Size 457mm x 737mm x 991mm 90 Litre Capacity 10 Kilos ..
Black Refuse Sacks Extra Heavy Duty (200 box) Size 18 " x 29 " x 39 " (457mm x 737mm x 991mm) 90..
Black Refuse Sacks , Large 7925 H.Duty (200 box) 18 " x 33 " x 39 " 120 Litres ..
Clear Refuse Sacks (200 box) The medium duty 100% clear recycled refuse sack, is ideal for gene..
BLACK COMPACTOR SACK 20 x 34 x 47 (250 Gauge) Black Opaque Recycled Low Density Polythene Compact..
Increase litter picking productivity with the ergonomic Handy-Hoop, the perfect partner for our litt..
Tidyz Industrial Rubble Sacks Roll of 20..